The most compelling creative expressions of the Utah Enlightenment neutralize the bomb-throwers, an occasionally daunting challenge in a state that wants to project civility but often gives into the temptations of immovable partisanship and visceral polemics. So far, 2017 has been a good year for original work under the heading of the Utah Enlightenment. 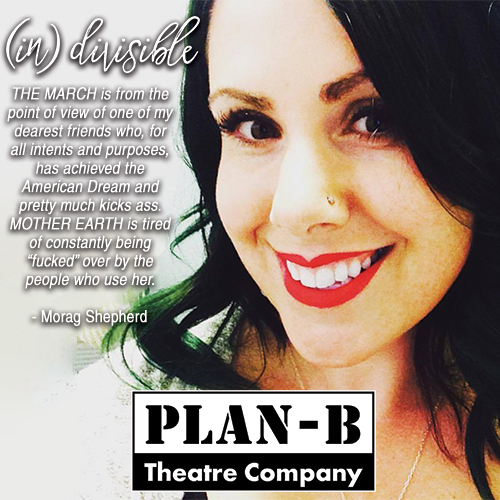 It is worthwhile to cite three examples of recent work by Torrey House Press, Plan-B Theatre and the Repertory Dance Theatre which succeed at the challenge of listening to the unfiltered voices of the space, place and people that embody Utah. Always a solid pillar of worthwhile Utah Enlightenment sensibilities, Plan-B Theatre offered this past June a staged script reading of (in)divisible, a two-act Script-in-Hand Series reading of short plays by 12 Utah playwrights that presents stories which are equal in terms of conservative and liberal perspectives. It was largely a successful experiment, most notably for how it pushed the playwrights to present work that did not seek to disparage, deplore or devalue particular views but to give credible perspectives their due focus, especially outside of the bubbles, algorithms and fake news dynamics of social media. The challenge is more difficult than it seems at first glance. Social media exchanges following the devastation in Houston from Hurricane Harvey last month, as summarized by USA Today’s OnPolitics blog, suggested that even a major natural disaster could not displace the partisan divide. The stream of messages covered everything from climate change’s role to the First Lady’s shoes as well as criticism about a popular television evangelist’s hesitation to take in storm survivors and conservative perspectives about gender roles. 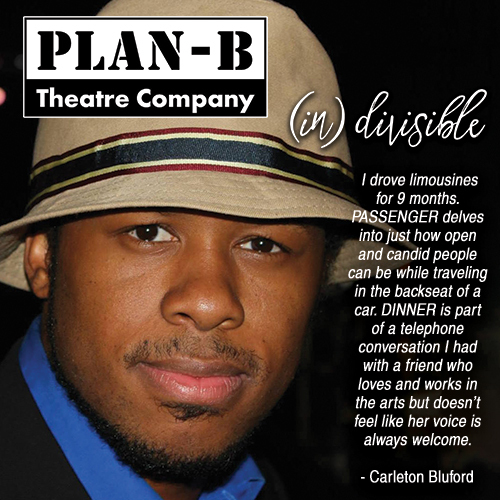 Plan-B wisely steered playwrights away from the temptations to inflect their piece with political jabs or personalities. Thus, each playwright contributed a pair of short plays covering different perspectives, running typically between three and five minutes apiece. Audiences saw 24 plays that gave a remarkably balanced spectrum of thinking on numerous topics, including immigration, racial profiling, crime, immigration, environmental concerns and education. 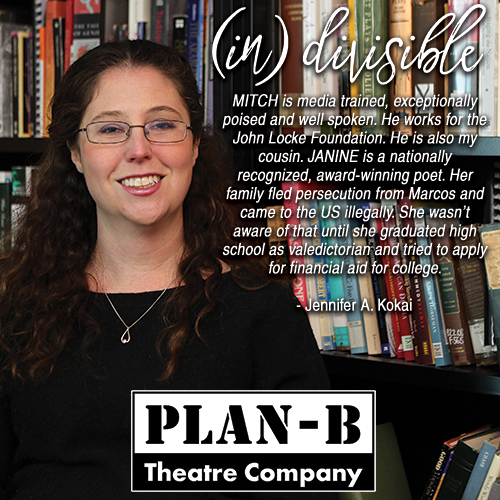 Plan-B’s (in)divisible came to fruition as a response to those who wanted to react, respond, and act upon the results of the last presidential election. However, it also functions more than just a snapshot of the current sociopolitical climate. By its history and nature, the United States’ political center typically has been more centrist than anything else, even despite recent elections and the expanding visibility of social media. Plan-B’s production may even be a better barometer of serious opinion now than it was in its premiere last June. It is the proper antidote to the easily riled factions of manufactured outrage that unjustifiably have dominated the news cycles over the calmer, more reasoned voices that have emerged especially from both sides of the aisles and from different points along the political spectrum. Likewise, more responsibly tempered and informed voices are visible in the public lands issues that are among the most aggressively discussed in Utah. This year, Torrey House Press released two books that amplify, augment and engage conscience and advocacy for public lands and, in particular, the Bears Ears National Monument. 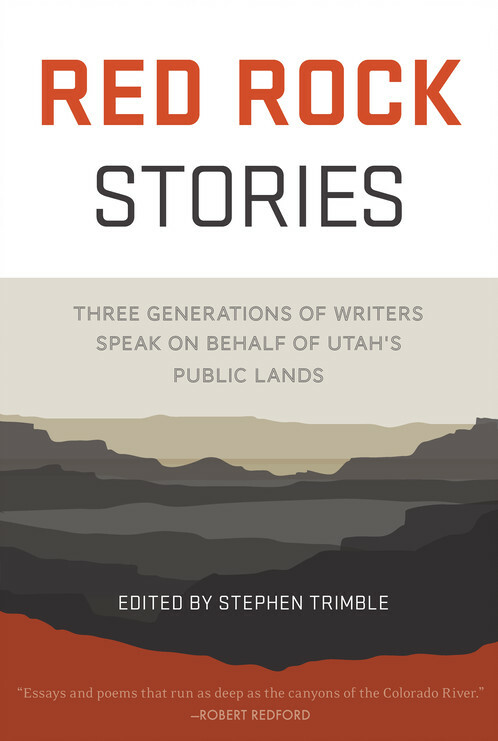 Red Rock Stories, edited by Stephen Trimble, is an anthology that exemplifies the staying power and persuasion of literary nonfiction. As previously described in The Utah Review, “it is an exemplar of diversity.” The book includes works by current Navajo Poet Laureate Luci Tapahonso and Utah’s first poet laureate David Lee; MacArthur Fellow Gary Paul Nabhan and writer‐philosopher Kathleen Dean Moore; former U.S. Secretary of the Interior Bruce Babbitt and former Utah state archaeologist Kevin Jones; millennial essayists Anne Terashima and Brooke Larsen; Ute Mountain Ute tribal councilwoman Lopez‐Whiteskunk; former members of Congress Mark Udall and Karen Shepherd; bestselling essayists David Gessner and Lauret Savoy; recent Utah Bureau of Land Management Director Juan Palma, and award-winning writer-scholars who teach at universities across the country. In the foreword, Trimble explains how poets, essayists and scholars could enrich the dialogue and affect the decision-making dynamics in the debate where a “confluence of hostilities and opportunities surfaced in western wildlands.” And, as Trimble cites, Red Rock Stories had a worthy predecessor: the 1996 book titled Testimony: Writers of the West Speak on Behalf of Utah Wilderness, a project he worked on with Terry Tempest Williams (Gibbs Smith Publishers). 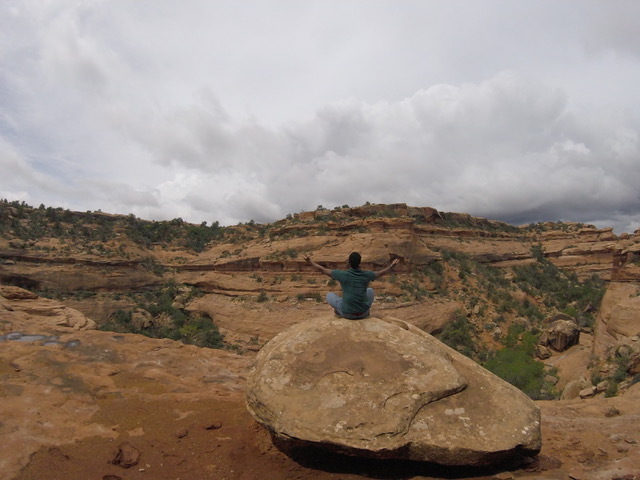 A young Navajo, Alastair Lee Bitsoi, who lives in Brooklyn, New York, writes about Bears Ears and its enduring impact, fortified when he was hired by the Grand Canyon Trust and Utah Diné Bikéyah to tell the stories about the Bears Ears Inter-Tribal Coalition. Bitsoi recalls a road trip from a decade earlier when he learned about the twin buttes towering over Cedar Mesa – what the Navajos call Shash Jaa’ or the Bears Ears – and the history of the Navajo headman Manuelito and the ancestral home of his Bit’ahnii clan. He writes, “Even though I was not driving toward Shash Jaa’ during that summer day, I was mesmerized by the Navajo connection. Instead of being attracted to the city life of Salt Lake City and the Mormon experience of Brigham Young University, my mind wondered about what the mountainous knolls, canyons, forests, water, and wildlife of the Manti-La Sal National Forest and surrounding public lands looked and felt like. I could only envision inhaling the fresh air.” That sense of connection, he suggests, has strengthened even as he lives and works in the nation’s largest city. 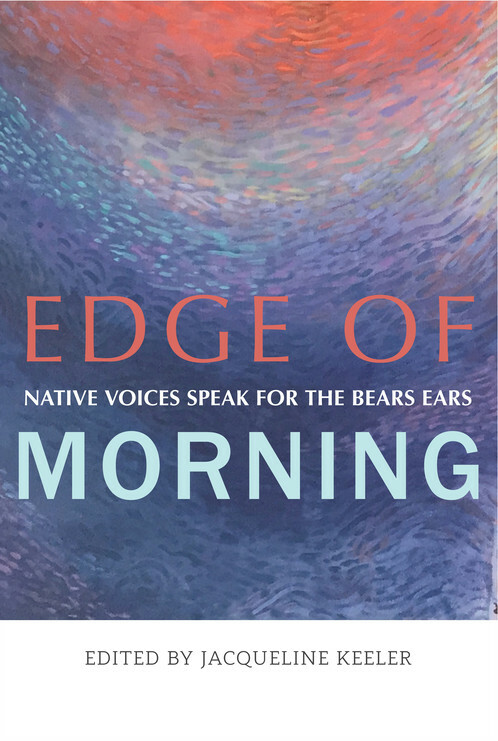 Edge of Morning: Native Voices Speak for The Bear Ears, edited by Jacqueline Keeler, is poised for even greater strategic relevance and urgent advocacy. Echoing the watershed character of the Bears Ears national monument campaign, the anthology serves the purpose of filling in significant gaps in American history. It also is a signature piece of the current Native American literary movement. Keeler organized the book into three sections. The first is Origin Stories: Interviews with Bears Ears Inter-tribal Coalition Organizers. 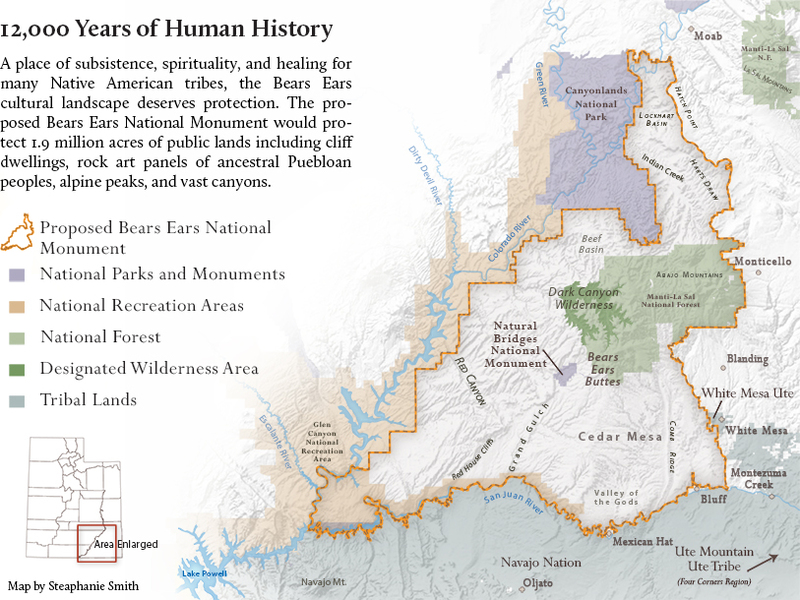 The interviews help the readers envision the 360-degree view of the significance of Bears Ears, not only as a nod to historical preservation but also of the consequences of people of losing that connection to the land. The third section opens this exploration to Native Americans throughout the country and the transforming significance of the Bears Ears fight: In Our Usual and Accustomed Places – Indigenous leaders on Bears Ears and the Fight for Cultural Preservation and Access to Public Lands in the United States. The entries include works by Ojibway poet Heid E. Erdrich, including We Were The Land’s Before We Were: Guidelines for The Treatment of Sacred Object, which was originally published in National Monuments, a 2008 release by Michigan State University Press. Ida’s Song from RDT on Vimeo. On a broader scale, Edge of Morning is vital in how it introduces a different perspective about the values we should consider in how we preserve the past. Traditional preservationists often focus more on the intact integrity of historic materials for the purposes of authenticity. Edge of Morning shifts that emphasis: What is necessary to sustain the life of these lands and homes where the customs, rituals, arts and language are rightly preserved as tradition in the true sense of the term? The readings amplify a dramatic shift in thinking. Bears Ears is significant not only for its past but also for what it means now and for the future. To face the risk of forgetting, the past’s physical presence takes on an unprecedentedly significant cultural value. The writers, essayists and poets in Edge of Morning emphasize that these places always are alive with the breath and spirit of their ancestors, which transcends a much greater distance than the mere acknowledgment of the physical characteristics of these lands. And, for readers who are not Native Americans, the central question is equally urgent for future preservation projects in non-indigenous places. The whole meaning of sanctuary takes on greater significance and complexities. 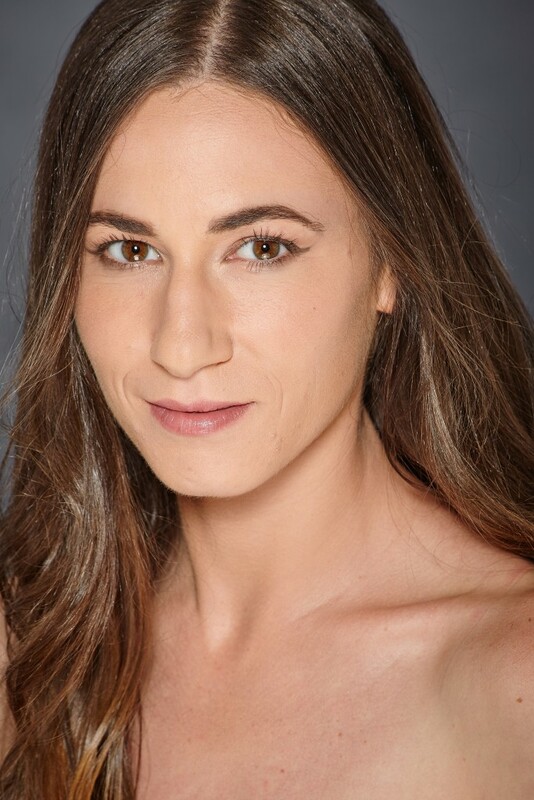 Next month, the Repertory Dance Theatre (RDT) will interpret the thematic questions raised in the aforementioned books with its premiere of Dancing The Bears Ears, a work commissioned by the company and choreographed by Zvi Gotheiner with original music by Scott Killian. Linda Smith, RDT cofounder who also serves as executive and artistic director, says this newest piece arises from seeds planted nearly a quarter of century ago. Indeed, it was Gotheiner, an Israeli choreographer who lives in New York City leading his ZviDance company, who created Erosion for RDT, a 1993 work that led the way for several works that celebrate Utah’s geography and the challenges of environmental issues. These have included Centennial Landscape Suite, Glacier, Dancing the Green Map, and Sense of Place. A month after the Dabke concert, Gotheiner returned to Utah with five of his own dancers to join RDT’s dancers, staff and a pair of Navajo guides to visit Bears Ears in preparing to choreograph the new work. Smith, who explains that Red Rock Stories and Edge of Morning were important foundational texts in preparing for the creative process in this project, documented the experiences of this expedition in several RDT blog posts. 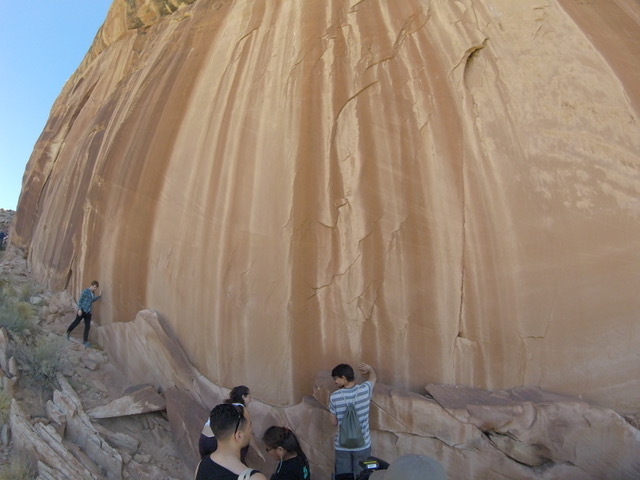 During the trip, the group visited many sites in the area. Their stops included the Fry Canyon Ruin, the steep switchbacks of Moki Dugway, a kiva at the Cave Tower Ruin, a hike at the Procession Panel and a community gathering in Bluff Utah. The Moon House was constructed about 800 years ago. The ruin’s namesake is a room with the moon painted on opposite walls. 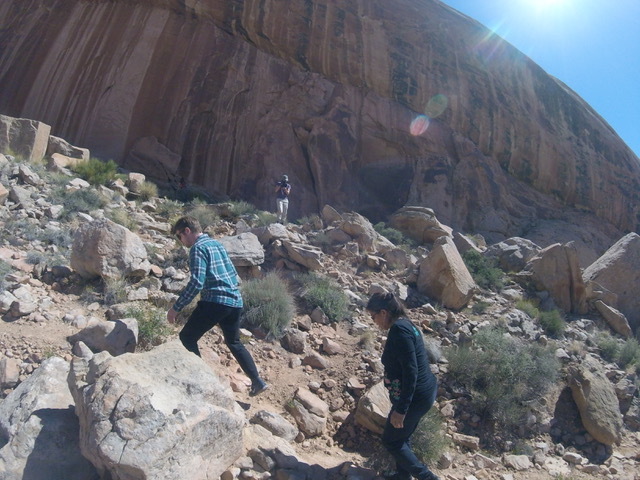 You reach the site by traveling about eight miles on a dirt road then hiking another mile or so to the edge of a canyon. A trail zigzags steeply down an old rockslide to the canyon floor, then the rock slopes ascend to a series of ledges where the Moon House was once home to 25-30 people. The beautifully designed ancient cliff dwellings afforded shelter and protection. The rooms offered privacy and yet encouraged a sense of community. Smith explains the objective was that it was not just what the dancers would see but also what they would feel. “We didn’t think of the piece as being motivated by political ideas and we very quickly knew that we would be investigating the history, culture and anthropology of the place,” she adds. Obviously, as she acknowledges, the issue becomes political, especially as people wrestle with the question about who is going to be the steward of the land. But, it also is evident that Dancing The Bears Ears ultimately presents the questions posed in Edge of Morning about how should we preserve a place of sanctuary, whether it is identified by its indigenous or non-indigenous heritage. For example, the new work will be performed with two other pieces: Tower, a work by Andy Noble of Houston’s NobleMotion Dance, which pays tribute to the World Trade Center Towers that were destroyed in the 9/11 attacks, and Ghost Ship by Eric Handman. 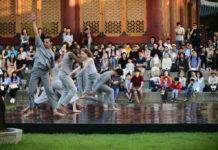 Smith says it was evident from the first day just how much the dancers from both companies were transformed by the expedition and “the power of nature,” as she describes it. 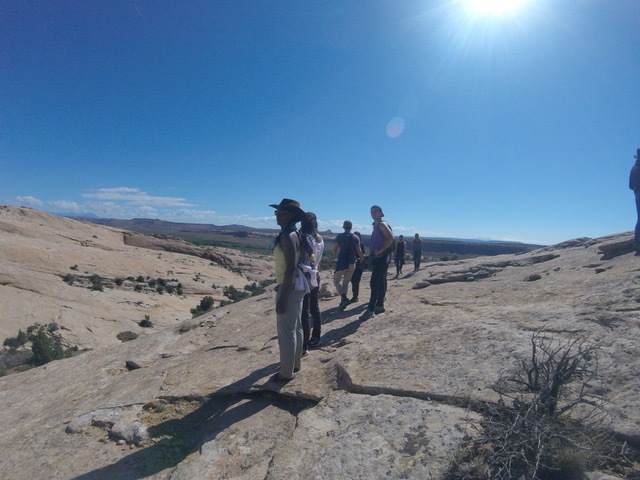 And, as with RDT’s other works that express the impact of Utah’s landscapes, Smith says the latest work will include lesson plans, movement exploration and curriculum inspired by Bears Ears National Monument. RDT’s phenomenal success not only in preserving modern dance’s history but also in original work for today is based on the company’s rigorous multidisciplinary approach that parallels, for example, the dramaturgy so essential to the theatrical stage. Clips of Improv – Bears Ears from RDT on Vimeo.